1.Dr. Ross Turchaninov posted an article on the Science of Massage Institute titled “The Horrors of Improper Massage Therapy” but the article actually dealt with cupping therapy. The article includes pictures of the client following a cupping session that actually causes increased pain for the client as well as significant tissue damage. You can read the article on the Science of Massage website. 4. An article in Nov 2017 Complementary Therapies in Clinical Practice by Duane Lowe concludes: Negative pressure causes stretching of the skin and underlying tissue and dilation of the capillaries. This stimulates in increase in tissue blood flow, eventually leading to capillary rupture and ecchymosis. Macrophages phagocytize the erythrocytes in the extravascual space which stimulates the production of Heme Oxygnase-1 (HO-1) to metabolize the heme. Heme catalysis results in the production of carbon monoxide(CO), biliverdin (BV)/bilirubin(BR) and iron. HO-1, BV, BR and CO has been shown to have antioxidant, anti-inflammatory, antiproliferative, and neuromodulatory effects in animal and human systems. These substances also stimulate a shift of macrophages to the anti-inflammatory M2 phenotype. 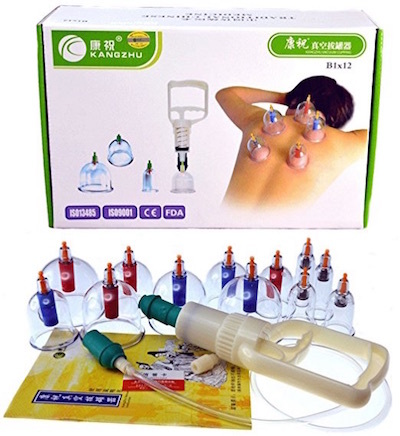 This could account for many of cupping therapy’s claims local and systemic health benefits. A study titled “Dry cupping for plantar fasciitis: a randomized controlled trial” published in J Phys Ther Sci in May 2017, concluded: …Both dry cupping therapy and electrical stimulation therapy could reduce pain and increase function in the population tested (patients with plantar fasciitis). A study published on NISCAIR Online Periodicals repository, in Jul 2015, titled “Dry cupping therapy decreases cellulite in women: A pilot study” concluded: …indicated for the first time in humans that dry moving cupping therapy might be effective on cellulite. Dry moving cupping therapy may cause the drainage of interstitial fluid and its elements into blood and lymphatic capillaries, especially lipids in cellulite. A study published on PLOSOne in Jun 2013, titled Effectiveness of Home-Based Cupping Massage Compared to Progressive Muscle Relaxation in Patients with Chronic Neck Pain-A Randomized Controlled Trial” concluded: Cupping massage is not more effective than progressive muscle relaxation in reducing chronic non-specific neck pain. Both therapies can be easily used at home and can reduce pain to a minimal clinically relevant extent. Cupping massage may, however, be better than Progressive Muscle Relaxation in improving well-being and decreasing pressure pain sensitivity but more studies…are needed. A study titled “Dry cupping in children with functional constipation: a randomized open-label clinical trial”, published Jul 2016 in Afr J Treat Complement Altern Med, concluded: …dry cupping of the abdominal wall, as a traditional manipulative therapy, can be as effective as standard laxative therapy in children with functional constipation. A study titled “Treatment of shoulder myofascial trigger points in amateur athletes with ERGON IASTM Therapy, cupping and ischemic pressure techniques: a randomized controlled clinical trial” by Department of Physiotherapy, Technological Education Institute of Western Greece in 2017 concluded: The Ergon-IASTM technique and ischemic pressure technique produced a significantly larger effect (pain and sensitivity reduction) compared with cupping therapy after the 2nd treatment. A case study, titled “Utilization of Cupping Therapy in the Treatment of Vascular Thoracic Outlet Syndrome in a Collegiate Pitcher: A CXase Study, published in The Journal of Sports Medicine and Allied Health Sciences concludes: Cupping therapy may be a viable treatment option when seeking to address tight musculature. As the massage profession evolves, so too does the need for standards governing best practices. Research is becoming increasingly more important as a tool to achieve this goal. Research can generally be categorized as qualitative or quantitative. As a discipline, it began with simple clinical observations, which constitute the basis of qualitative investigation. These are descriptive studies of naturally occurring events. A practitioner would note symptoms of a given patient, try various remedies and reject those that did not work. When another patient would exhibit those same symptoms, previously effective remedies would be tried first. In time, quantitative studies developed, based more on the scientific method of empirical testing. These are generally comprised of standardized clinical trials involving a control group and a very specific set of criteria for participation. Quantitative studies are widely accepted as providing the strongest link between cause and effect, and they appear to be good predictors of outcome of a given treatment if the study’s results are shown to be statistically significant and if the results are performed exactly as in the study. However, both types of research are valid and should be combined in order to find the most effective treatment method for each client. In order for research results to be valid, they must be able to be reproduced. The establishment of any cause and effect relationship as it pertains to results must also rule out other factors. There is also the issue of bias in a research study, which is important to consider: selection bias, attrition bias or measurement bias can all skew the results. Evidence-based practice involves integrating current research findings with the expertise of the practitioner and the individual needs of the client in order to provide the best possible care. Research can be helpful in treating clients with specific conditions if the practitioner has not previously handled the condition. Research is important to the massage profession, not only in helping to provide good care to the client but also in establishing support for the profession as a whole. As massage therapists, research helps us become “fluent in the scientific language of the larger medical community” and provides credibility to the profession. (2) Research studies can establish institutional support for massage, as there is evidence that research studies suggesting efficacy of a certain treatment can lead to insurance coverage for the treatment. Citing research studies to clients can also encourage them to consider spending money on massage as part of their wellness program. Finally, on a broader scale, it can give massage therapists the confidence to treat previously contra-indicated conditions, such as cancer. Oncology massage has grown as a practice, in part, due to research studies on the positive effects of massage on cancer patients. On the opposite end of the spectrum from oncology massage, there is massage for non-life-threatening conditions. The question has been posed as to whether or not massage can be effective in ridding the body of cellulite (gynoid lipodystrophy). Cellulite is a topographic alteration in adipose tissues, particularly in hips, thighs, buttocks and abdomen. It is studied because it is generally considered undesirable, although it does not pose any health risks. In the study “Intensive Treatment of Cellulite Based on Physiopathological Principles”, researchers hypothesized that lymphatic stasis results in an accumulation of all the substances drained by the lymphatic system, since the accumulation of such in the interstitial space in adipose tissue is present in the initial stages of cellulite. They proposed that manual and mechanical lymph drainage could decrease the amount of cellulite on the treated areas. 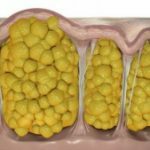 The study sample consisted of 10 patients ranging in age from 25 to 59 years, diagnosed with grade IV cellulite identified by clinical evaluation. The patients received a 4-hour treatment of manual and mechanical lymph drainage combined with 15 minute intervals of cervical stimulation in the form of 10 sessions over a 2-week period. The technique of cervical stimulation involved an apparatus which performed 25-30 flexion and extension movements of the sole of the foot per minute. The patients were measured and photographed before and after the research was conducted and the results were analyzed by two examiners. Significant reductions were measured for all patients participating in the study, according to researchers, with the mean reduction of 5.6 cm being statistically significant. The research findings appear to support the statement, however the study only involved 10 participants. It would be important to reproduce the study’s results perhaps with a wider survey. In addition, the treatment of 4 hours per day for 10 sessions over 2 weeks is aggressive treatment by most standards. A therapist may need to know if the results could be reproduced with fewer treatments in order to make the statement viable for a potential client. “The Case for Research”, Cynthia Pitch, PhD, MPH, CMT, RMT and Martha Brown Benard, PhD, CMT, American Massage Therapy Association, March 21, 2009. “Research: It’s What Will Advance the Massage Therapy Profession,” Valerie A. Danner, Massage Therapy Journal, Winter 2006. “Care with Confidence,” Rebecca Birr, MSLIS, AHIP and Kathy Ziblisky, MSL, AHIP, American Massage Therapy Association, December 21, 2007. “Intensive Treatment of Cellulite Based on Physiopathological Principles,” Jose Maria Periera de Godoy, Mayra Yara Groggia, Lucilene Ferro Laks, Maria de Fatima Guerreiro de Godoy, Dermatology Research & Practice, May 14, 2012.